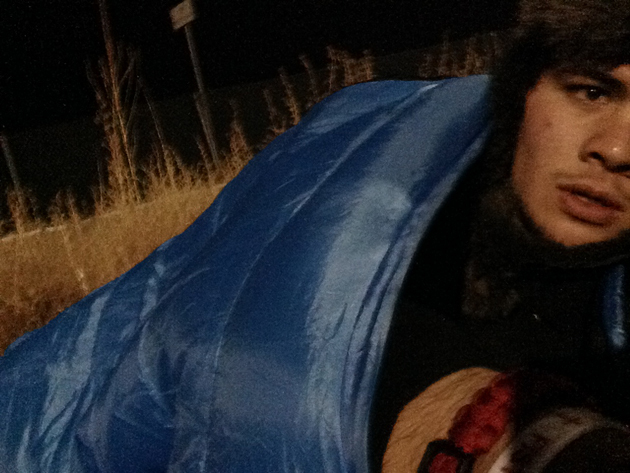 Twelve days before Christmas 2013, Silas Nacita began a long walk home. 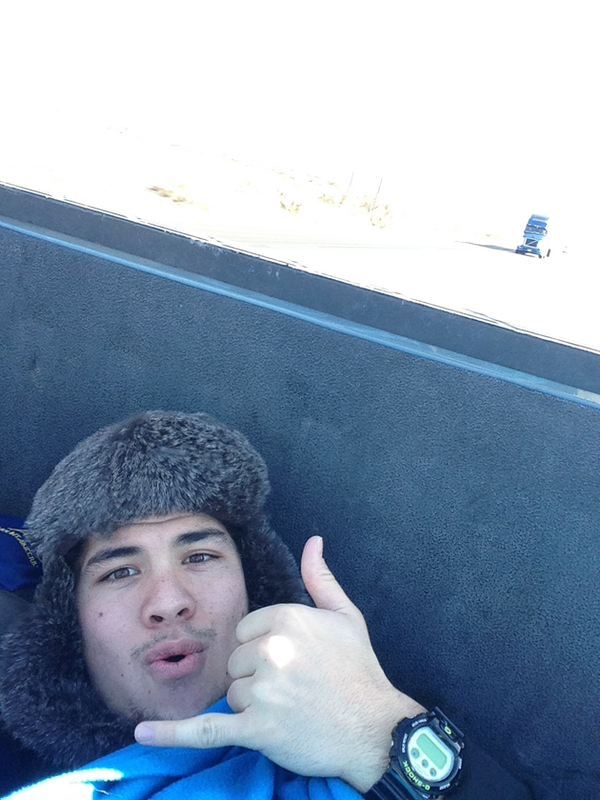 He climbed out of a friend’s car, strapped on a 60-pound backpack and headed west, a vast stretch of Texas highway before him. On the outskirts of Waco, Nacita took his first step on an uncertain journey, one that would take him across four states, three time zones and more than 1,500 miles to Bakersfield, Calif.
On the open, windswept road, Nacita carried a burden that grew heavier with each mile. What would he say to his mother? Their relationship was broken. What would he tell his siblings? He was an online student at Waco’s McLennan Community College with no regular place to sleep. How would he fulfill the longing of his heart? He couldn’t afford to enroll at Baylor and walk on to play football. Five days before Christmas 2014, Nacita is there. He jogs onto the practice field, cleated and padded. He straps on his helmet and begins his last workout before Baylor breaks for the holidays. It has been an astonishing autumn. In his second game with the Bears, Nacita rushed for 104 yards and scored two touchdowns. A junior, he averages 6.2 yards per carry. He makes jarring tackles on special teams. 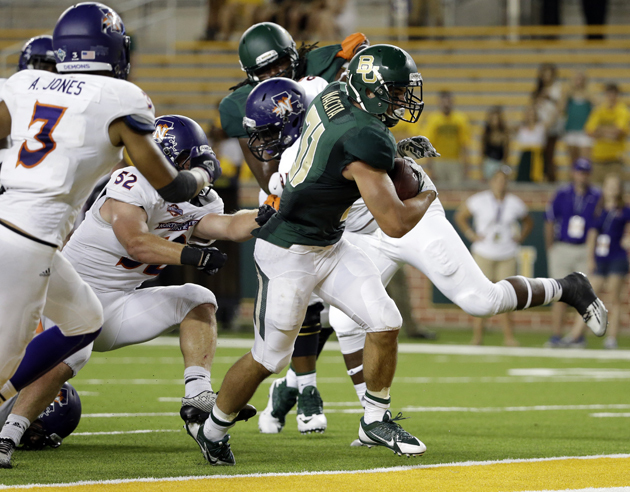 When his name is announced over the public address system, McLane Stadium erupts—over a fourth-team running back. In one year, Nacita has climbed from a ditch in New Mexico to the Cotton Bowl in Dallas. On Thursday, he and No. 4 Baylor play No. 7 Michigan State. Nacita won’t be the best backup in the game. But he may be the most inspirational player on the field. Here’s one angle: Nacita walked on at Baylor in June, homeless and hungry, with a few dollars saved from waiting tables. After workouts, he slept on the apartment floors of friends. In August, Nacita began classes with a financial-aid package that included money for tuition but none for books. Occasionally, Nacita borrowed a text from a classmate. Sometimes, he snapped pictures of book pages in the student bookstore and studied the images on his phone. Often, he relied on his smarts. “I had to take a lot of my classes on memory,” he says. 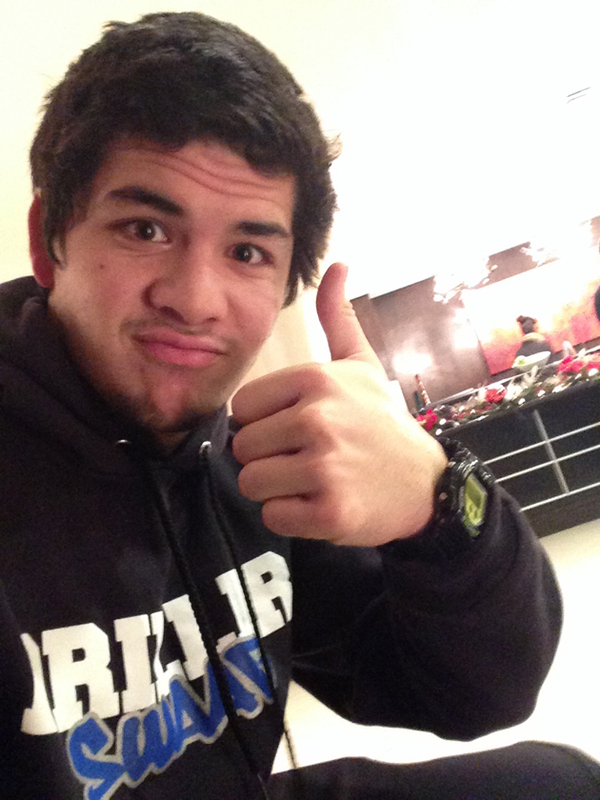 Bookless and broke, Nacita made Academic All-Big 12. In the book of Genesis, the patriarch Jacob spent a memorable night outdoors on a journey to find a wife. He dreamed about angels ascending a stairway to heaven. In the dream, God promised Jacob land and numerous descendants. Nacita stopped in a rest area of Cameron Park called “Jacob’s Ladder.” He found a clump of trees on the bank of the Brazos River and slept beneath the stars. It would take time and adversity for Nacita to realize the truth. Conflict with his mother was the root of his trouble. At 16, Nacita lost his father to bacterial meningitis. At 17, he and his mother clashed. Amonna Nacita, an elementary school teacher, wanted to spend more time with Silas, the youngest of her four children. Silas tried pushing her away. Amonna wanted Silas to give an account of his whereabouts. Silas wanted autonomy. They battled and argued until, finally, Silas bolted. There are more than 100,000 homeless athletes in the U.S., as SI reported in October. As a senior at Bakersfield High, Silas became one of them. He lived on a series of couches in the homes of friends. The separation did not keep Amonna completely away. She attended football games and wrestling matches. She was there when Silas graduated. But mother and son never celebrated his senior success: 1,249 yards rushing, 12 touchdowns, 97 tackles, 2.5 sacks and three interceptions; state runner-up and Bakersfield-Californian Co-Wrestler of the Year at 170 pounds. Every study indicates homeless students perform worse than their peers in school. Grades are lower. Math and reading proficiencies are lower. Silas wrecks all the research. While living in limbo in high school, Silas carried a 4.1 grade-point average and earned a scholarship to Cornell. “Everyone saw me as a kid who had his life together with sports and academics,” he says. “But nobody knew what was happening inside or at home. I lived in the shadows." At Cornell, the silence between mother and son grew. One day, though, Silas called home to complete a paper. Amonna agreed to help on one condition. Silas had to open up. He had to put words to his anger. A long process of healing began. On the field, Silas rushed for 99 yards and scored six touchdowns as a freshman but grew disillusioned with the bitter cold, with the Ivy League atmosphere and competition. On the advice of friends at Baylor, he moved to Waco, 1,600 miles closer to home. On that long walk to Cameron Park, Silas pondered his past and considered his future. There remained a distance between him and his mother, but worse, there was a chasm between his faith and reality. In his heart, Silas believed he was a Bear. In truth, the door to Baylor had closed. After one night at the foot of Jacob’s Ladder, Silas moved on and cleaned out his locker. On that day, Sept. 2, 2013, he started a journal. Every entry included the same goal: “2014 Baylor Football Playmaker.” He jotted occasional notes to remind himself of the day (Sept. 2) he lost football. To get back to Baylor, Silas enrolled at McLennan. He waited tables 40 hours a week at Cheddar’s. He drifted from apartment to apartment and added to his journal. Homeless and hurting, Silas aced almost every class. One grueling 12-hour day at Cheddar’s got to him. So Silas packed a bag. The next day, around 3 p.m., a friend dropped him on the side of Texas State Highway 6. He didn’t know what he’d say when he got home. He just knew he had to get there. The journey to Bakersfield was a revelation. The biggest surprise? Silas learned he had much to be grateful for—most of all, his mother. “We’re full,” he was told. When the sun rose the next morning, a drifter approached Silas. The man looked hungry. With money he had saved from Cheddar’s, Silas bought the drifter breakfast—eggs, bacon and toast—from a diner near the ditch. Then Silas journeyed on. Not far down the road, in Las Cruces, N.M., a trucker pulled over. The driver, Billy Battle, transports chicken and turkey, rice and beans, all kinds of food to prisons and jails in the Southwest. Billy and his wife, Donna, a children’s pastor, teach Sunday School at a small church in Arlington, Texas. On his way to a delivery, Billy, 58, spotted Silas holding a cardboard sign. Written in black marker was this: “Trying to get home for Christmas.” Company policy prohibits Billy from picking up strangers. For reasons he can’t explain—“I just had an inward feeling”—Billy made an exception. The warm connection he felt with Billy wore off. Miles down the road, Silas’ legs grew heavy. Fatigue set in. He told God he was tired of walking. On a desolate highway, Silas begged for help. Seconds later, he says, a car with California plates pulled up. “You need a ride?” the driver asked. “I’m heading to Bakersfield,” Silas said. “We going to Riverside,” the driver said. The car was a clunker. Old. Worn. Damaged. But more than good enough for a traveler weary from walking. For 10 hours, Silas rode with a young couple and their baby. They passed Sun Devil Stadium in Tempe. They crossed into California. He heard how the boyfriend had crashed another car with another girl into a pole, leaving his passenger in a coma. He heard how the girlfriend had grown up with a sexually abusive father, how she was raised by parents who abused drugs. The horror stories went on. The journal grew with notes and marks. One hundred days since he’d lost football. Then 200, 300. The epiphany did not alter aspiration. Silas wanted to be a Baylor Bear. Stellar grades at McLennan yielded scholarships. Silas secured a federal loan and used the money to rent an apartment near campus. He bought a moped. Baylor coaches welcomed him back for summer football. When the season began on Aug. 31, there were 363 journal entries, one for each day since he’d cleaned out his locker. He counted 652 days since his last game at Cornell. To celebrate his return, Silas scored a touchdown against SMU. The following week, he added two against Northwestern State. After two games, Silas, 5-foot-10 and 200 pounds, had rushed for 124 yards. Fans asked, “Who’s number 31?” Bits and pieces of his story slowly emerged. ESPN radio did an interview. The piece prompted a call from Cheryl Pooler, a homeless liaison in the Waco Independent School District. Nacita (31) fights his way into the end zone for a score late in the second half of a Baylor-Northwestern State game in September. Meanwhile, his football popularity soared. One fan tweeted “Silas Nacita” only to have it autocorrect to “Salsa Nacho.” On a kid without a drop of Hispanic blood, the nickname stuck. Children showed up at McLane Stadium wearing sombreros and masks. Fans chanted, “Salsa Nacho,” after he made a big play. When Silas ran from one side of the field to level an Oklahoma State kick returner on the other, the place detonated. Girls created a sign and posted it on Facebook: “All I want for Christmas is Salsa Nacho.” He found the attention amusing. Silas was born to a Filipino father and Anglo mother. Mother and son live 1,500 miles apart. Silas has closed the distance with love and song. A year ago, he was a homeless student, climbing out of a ditch and hitching rides to see her. A week ago, Silas was a celebrated Baylor Bear, flying in for a holiday visit. He touched down in Bakersfield transformed, humbled by his journey, unfazed by accomplishment, attention and the craze of Salsa Nacho. Mother and son embraced, and in that moment, the separation and pain of the past was forgotten. Silas was finally home.